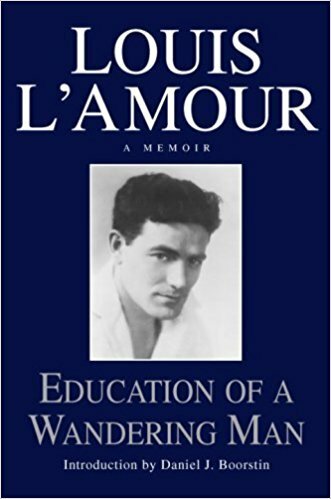 From his decision to leave school at fifteen to roam the world, to his recollections of life as a hobo on the Southern Pacific Railroad, as a cattle skinner in Texas, as a merchant seaman in Singapore and the West Indies, and as an itinerant bare-knuckled prizefighter across small-town America, here is Louis L’Amour’s memoir of his lifelong love affair with learning–from books, from yondering, and from some remarkable men and women–that shaped him as a storyteller and as a man. Like classic L’Amour fiction, Education of a Wandering Man mixes authentic frontier drama–such as the author’s desperate efforts to survive a sudden two-day trek across the blazing Mojave desert–with true-life characters like Shanghai waterfront toughs, desert prospectors, and cowboys whom Louis L’Amour met while traveling the globe. At last, in his own words, this is a story of a one-of-a-kind life lived to the fullest . . . a life that inspired the books that will forever enable us to relive our glorious frontier heritage. I love to read Louis L’amour books and this book was no different. It was a very interesting story about L’amour’s earlier years and travels. He has quiet an interesting story that kept me reading and wondering. It did take me a while to get through, but I blame it on all the book recommendations. Almost every time he mentioned a book I would google it and then if I liked how it sounded I would add it to my amazon wish list. This book is a great memoir that is a good read for people who want book recommendations or love westerns and wonder how the authors might get ideas.